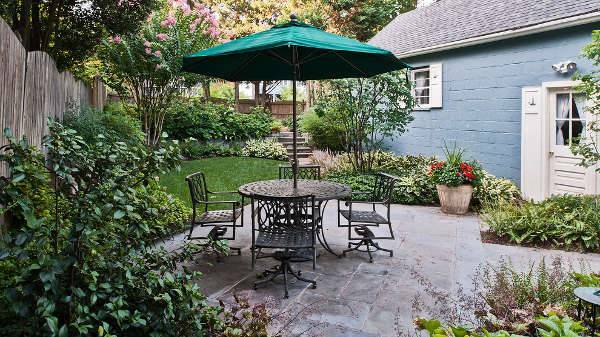 If you have a limited space for the patio, you can use the available space judiciously. Incorporate a round or circular sitting arrangement, preferably with stones, with a wrought-iron table in the centre. Place a few potted plants around the area to make it look natural and splendid. Covered patios have become a popular trend in cottages and private villas. These patios have concrete or wooden support for the beams. You can incorporate colourful themes in the covers and optimize the looks of the patios. A patch of greenery around the area enhances the look. 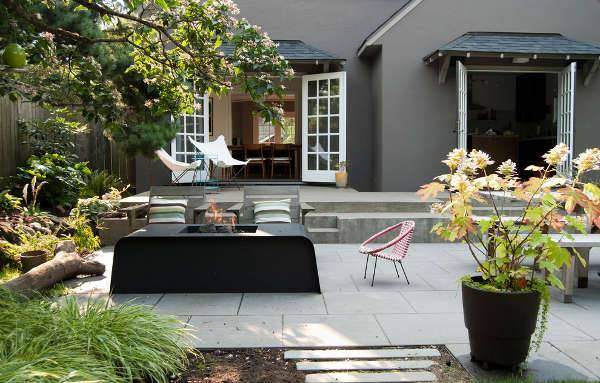 The natural colour of concrete make the backyard patio elegant. 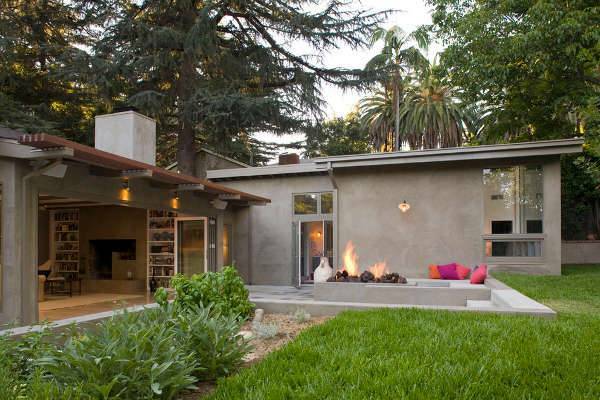 Place modern sitting arrangement on this concrete patch. A few potted plants around the area makes it beautiful. You can also place some concrete slabs in place of the chairs to streamline the looks of your backyard patio. Stone patios are popular in many parts of the world. You can choose a particular theme with pebbles, round stones or gravels for the purpose. You can also get a stone table in centre and arrange for the necessary sitting arrangement to retain the natural beauty of the patio. 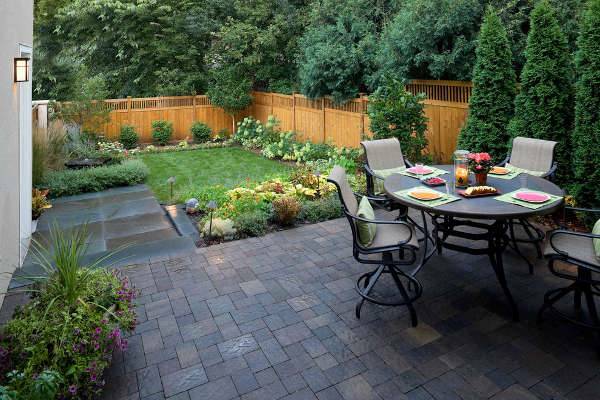 The reddish hue of brick patio is the key element of attraction in these patios. 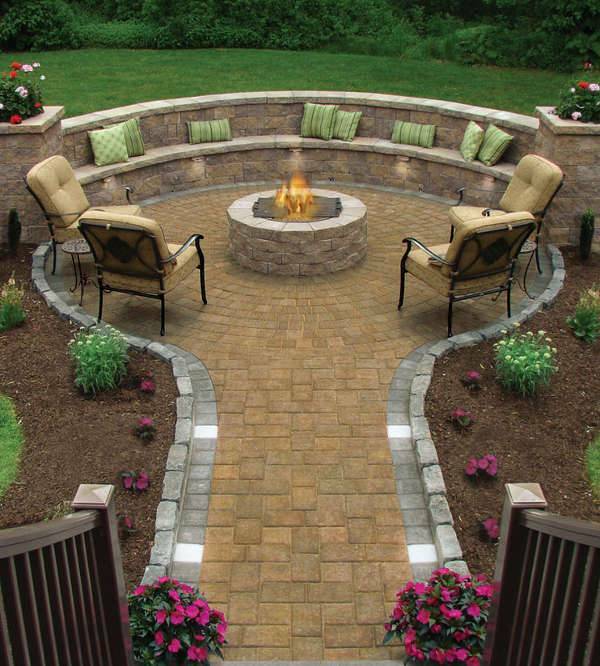 You can arrange for curved geometric patterns with bricks, and these make the backyard patios look cultured. Install a wrought iron table with matching chairs around the area to boost up the looks. You can be quite experimental with the patio design ideas. 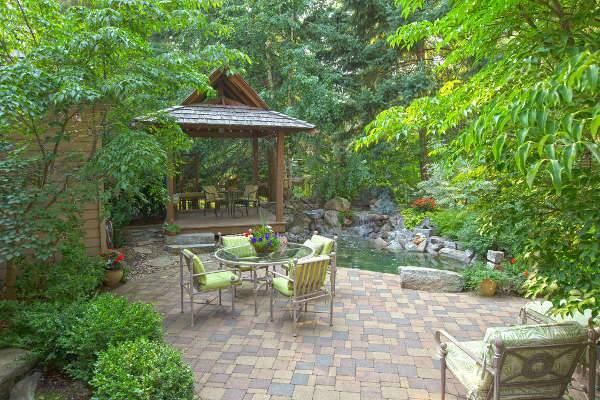 A landscaped garden around the patio adds to its beauty. When you design a DIY patio, you can incorporate a stone walk way along the border, lining the green patch in your garden. Pavers add a sophisticated visual element to the patio. 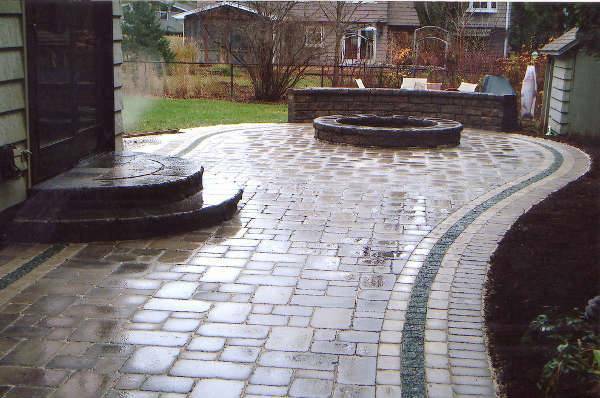 These can be optimized according to the desired pattern and size of the pavers. When you have a paver patio, try out different colour combinations. A paved, winding path along the garden stretch leading into the patio looks beautiful indeed. Wooden patios are enriched with the natural charm of wood. You can have a log flooring in these patios along with polished sitting areas. In case you have a covered patio, paint the edges of the cover in black and leave the rest of the wooden area with the natural wooden colour. Sloped patios are common in hilly regions, particularly in cottages. You can also incorporate thee themes into your garden through landscaping. Light coloured paved steps leading to the patio look splendid. When you have a green parch around the patio, the beauty turns out to be even more pronounced. 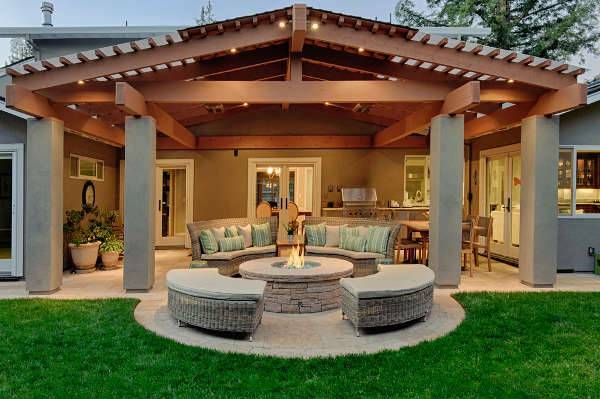 You can opt for a round or rectangular fire-pit in your backyard patio. 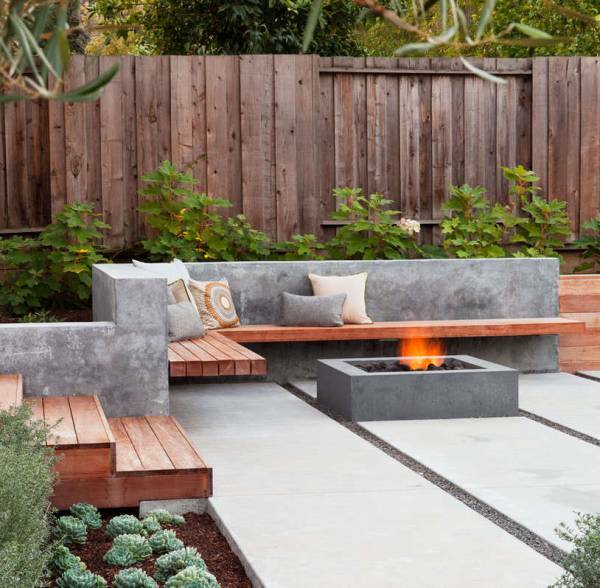 Stone fire pits are also in the trend, and these refine the looks of the patios with a natural touch. 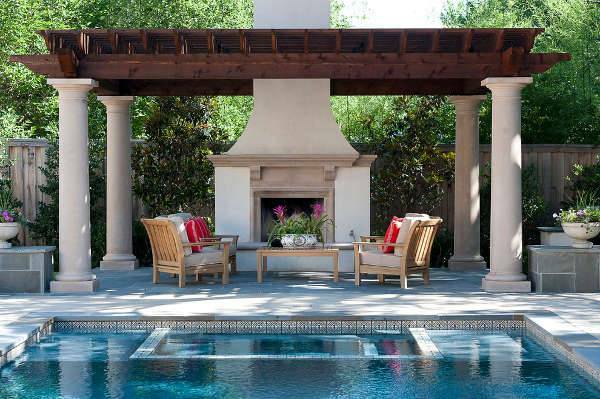 If you have a stone fire pit in the patio, you can design a matching theme with stone tables and slabs for sitting. Install some potted plants in the patio area to retain the element of natural bliss. 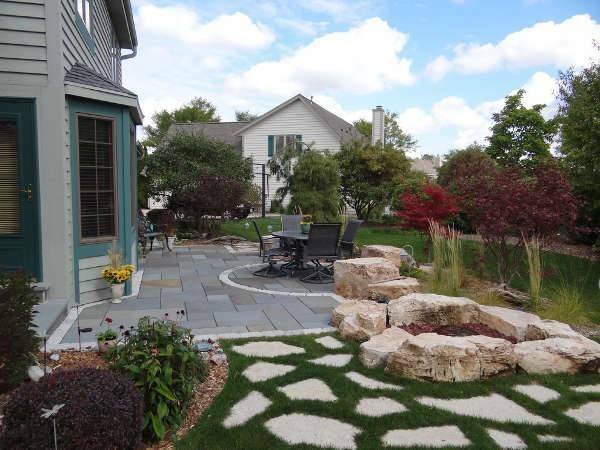 Design the patio in a landscaped garden so that you can beautify it with a stone walkway. A winding walkway in a landscaped garden looks elegant. 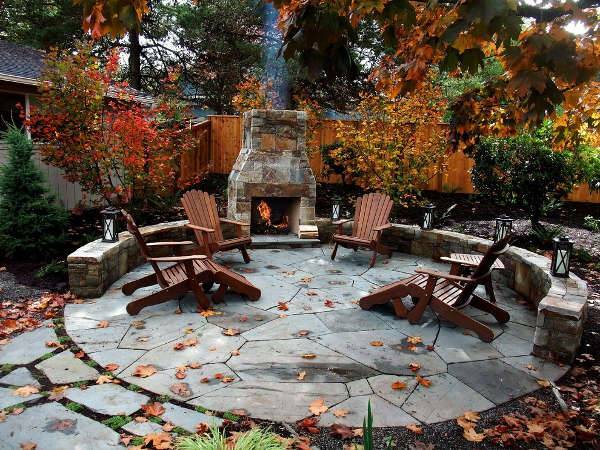 If you have a stone fire pit in the patio, complement the looks by incorporating a gravel walkway around the area. Wood patios can be modernised by burnishing the logs. 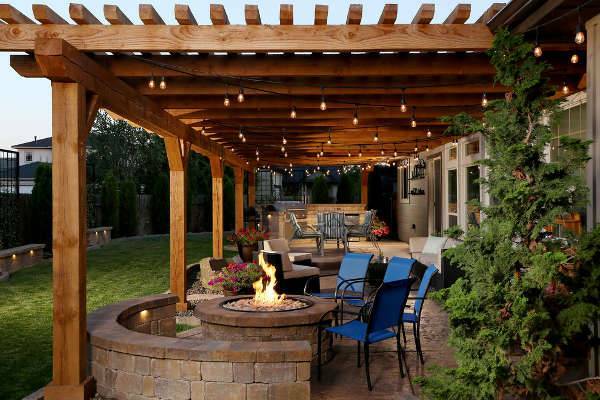 You may also look out for a rustic backyard patio. Get dark wooden furniture and logs made of weathered wood for the purpose. New patterns are finding their ways into the patio designs, and you can try out innovative patterns with the pavers. The patio furniture is one of the key elements that add to the degree of sophistication in the backyard patios. 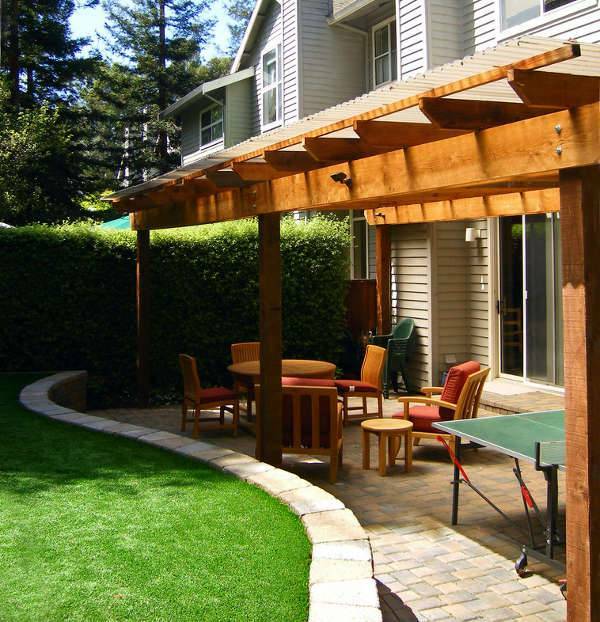 If you have new ideas with patio designs, you can share them with us.